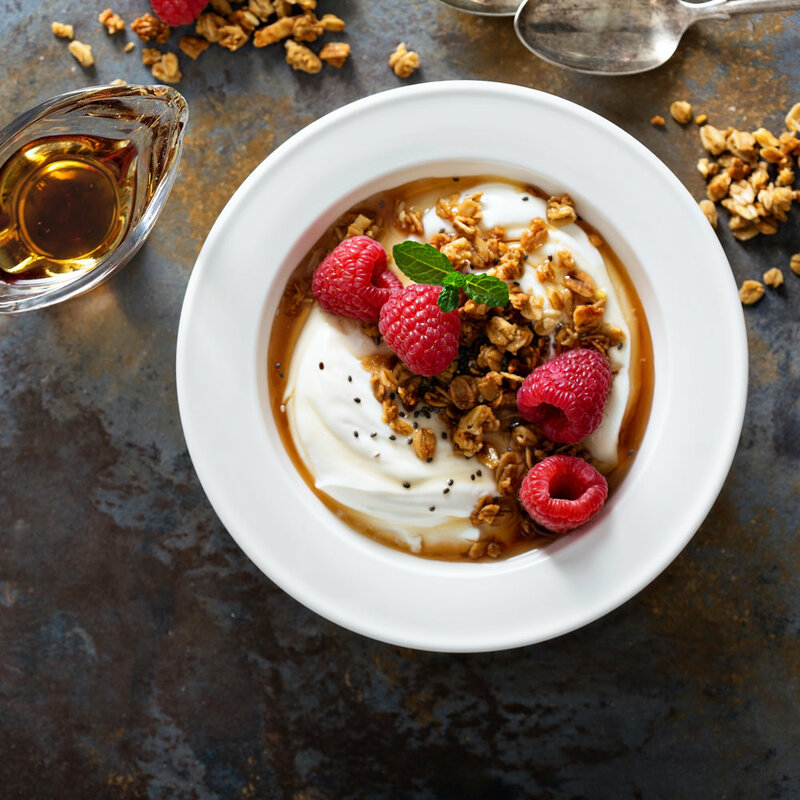 WHISK together 4 cups of your Cosori yogurt with the maple syrup and vanilla extract in a large bowl. Mix until well combined. TOP with granola, fresh raspberries, and some more maple syrup for added sweetness.